© 2002, © 2019 by Paul Freeman. Revised 3/31/19. 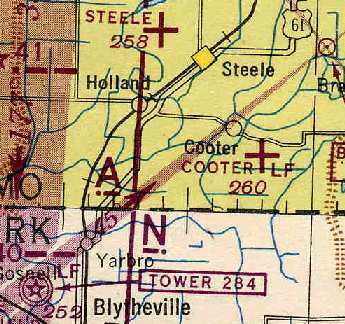 “Bootheel Air Field Private”, as depicted on the 1956 USGS topo map. According to Jim Rice, “My dad, Richard Rice, operated Bootheel Flying Service from the 2,000' grass field. I'm not sure when it opened, but dad was based there for almost 30 years [starting in the 1950s]. 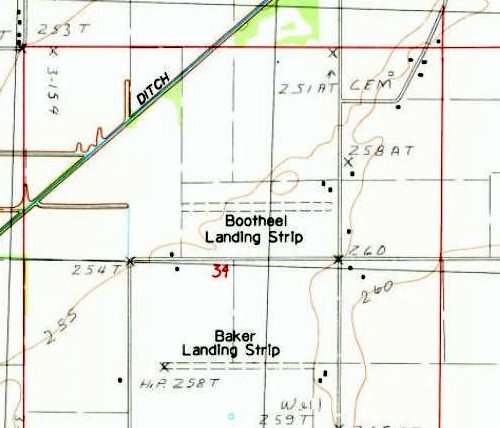 The earliest depiction which has been located of Bootheel Flying Service Airfield was on the 1956 USGS topo map. It labeled the field as “Bootheel Air Field Private”. A circa 1950s-60s photo of Richard Rice, his pilots, and loader, in front of his 3 Piper Pawnee agplanes at Bootheel Flying Service Airfield. A circa 1950s-60s photo of 3 unidentified planes at Bootheel Flying Service Airfield. 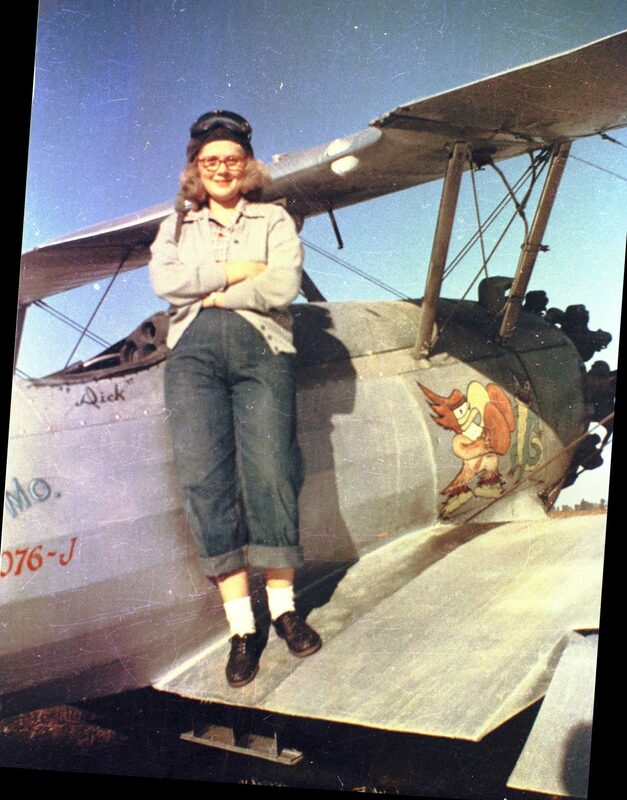 A circa 1950s-60s photo of Jim Rice's mother on a Stearman at Bootheel Flying Service Airfield. 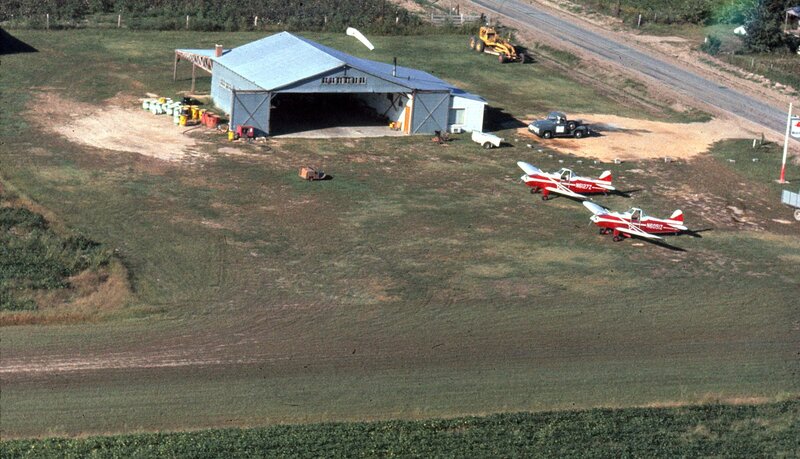 A September-October 1960 aerial view by Richard Rice (courtesy of Jim Rice) looking southwest at Bootheel Flying Service Airfield, showing 2 of their Piper Pawneee agplanes parked near the hangar. 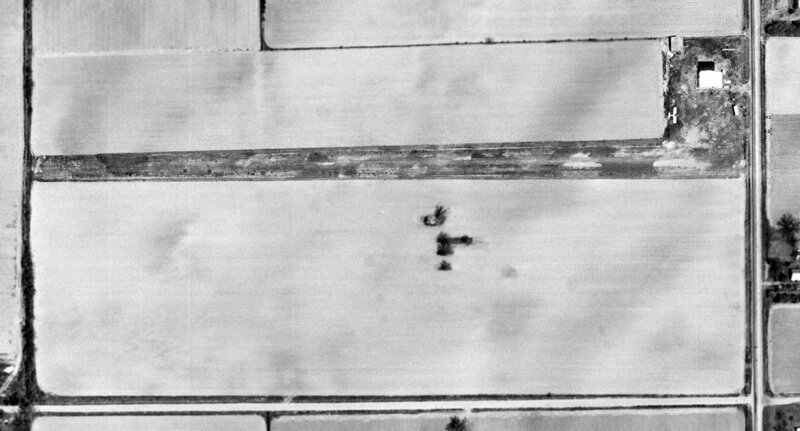 A 4/13/78 USGS arial view depicted Bootheel Flying Service Airfield as having an unpaved east/west runway, with 1 single-engine plane parked near the hangar on the northeast side. showed 2 single-engine planes parked near the hangar on the northeast corner. 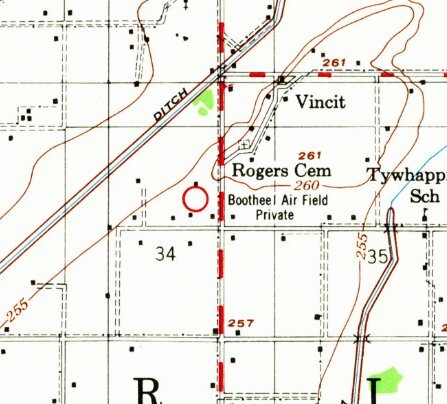 The last depiction which has been located of Bootheel Flying Service Airfield was on the 1983 USGS topo map. 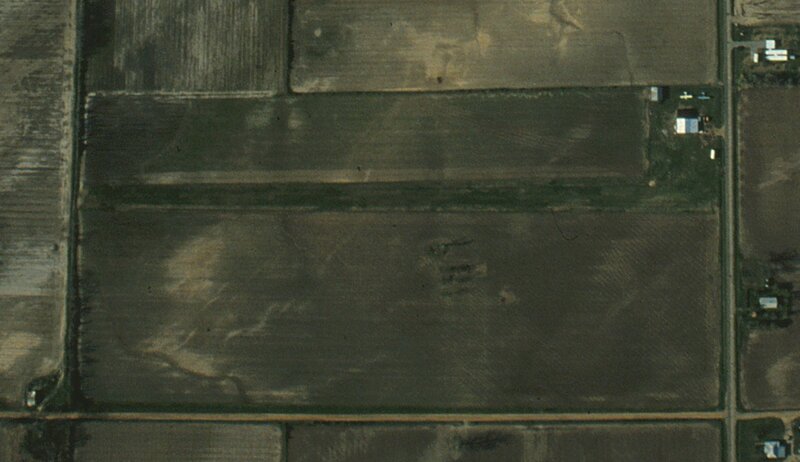 It depicted “Bootheel Landing Strip” as an unpaved east/west runway with 2 small buildings on the northeast side. 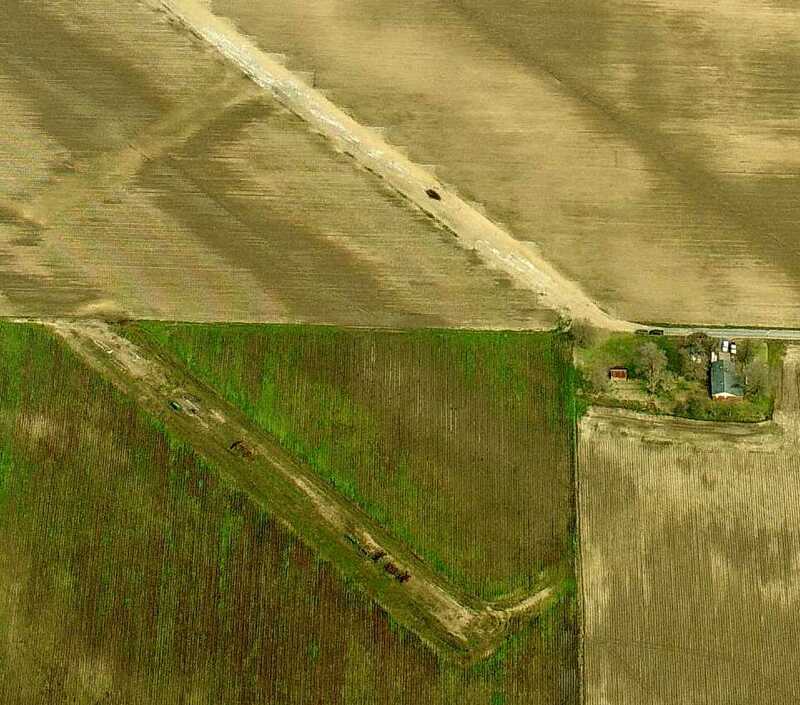 A 2015 aerial view showed no trace remaining of Bootheel Flying Service Airfield. Thanks to Jim Rice for pointing out this former airfield. A 1942 photo captioned “Howard Blossom, pilot & Jack Laister, first passenger in LK-10/TG-4A, Starling Airport” (courtesy of Jack Abercrombie). Starling Airport was not yet depicted on the May 1939 Kansas City Sectional Chart. in response to the formation of the United States Army Air Corps' American Glider Program in 1941, basing it on his Yankee Doodle design of 1938 for Lawrence Tech. 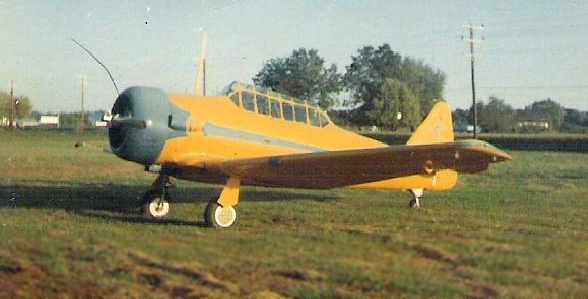 Aside from the addition of a second seat, the Yankee Doodle 2 differed from it predecessor by having wings of constant dihedral instead of gull wings. The USAAC expressed interest, but only if Laister could arrange for the manufacture of the type. When Laister found a sponsor in businessman John Kauffman, they established the Laister-Kauffman Corporation in St Louis & the USAAC ordered 3 prototypes as the XTG-4. When evaluation of the type proved positive, the Army placed an order for 75 aircraft, followed by an order for another 75. 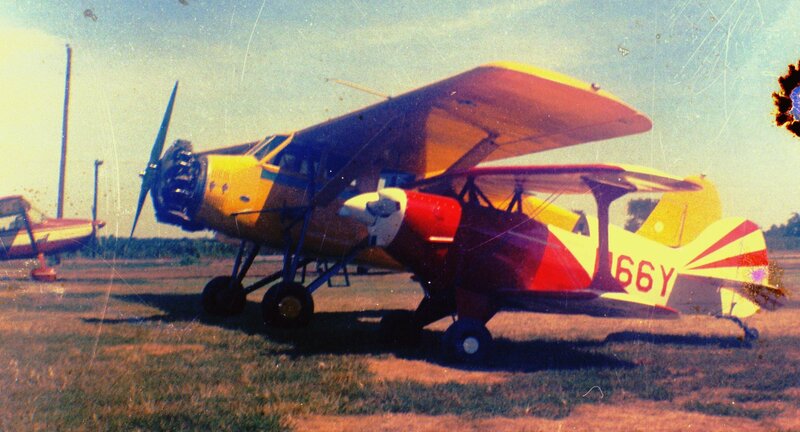 These were operated as the TG-4A, along with the original, single-seat Yankee Doodle that was impressed into service. The earliest photo which has been located of Starling Airport was a 1942 photo captioned “Howard Blossom, pilot & Jack Laister, first passenger in LK-10/TG-4A, Starling Airport” (courtesy of Jack Abercrombie). The earliest aeronautical chart depiction which has been located of the Starling Airport was on the March 1944 Kansas City Sectional Chart. 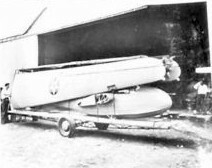 A circa 1940s photo depicted an Army Air Corps glider (model unidentified) on a trailer at Starling Airport. An undated aerial view of Starling Airport from the 1947 MO Airport Directory (courtesy of Joe Gurney). The directory described Kratz as privately owned, managed by Carles Stockstrom. 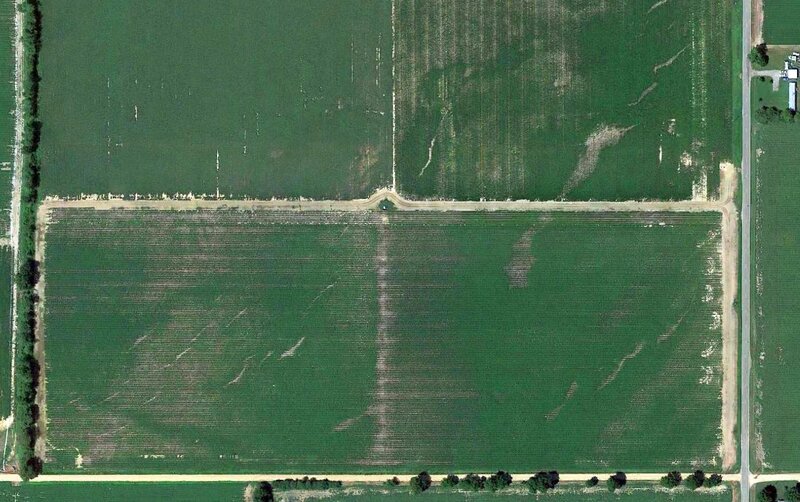 It was said to have 2 turf strips, measuring 2,650' southeast/northwest & 1,800' north/south. Two light aircraft were visible near a building with “Shell” painted on the roof. 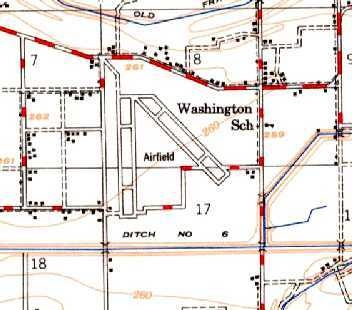 The 1949 USGS topo map depicted Starling Airport as a commercial/municipal airport. 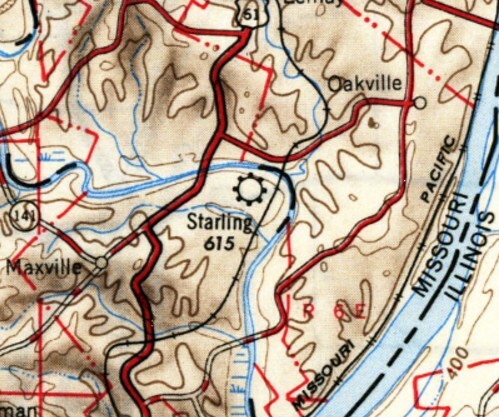 The last aeronautical chart depiction which has been located of Starling Airport was on the May 1950 Kansas City Sectional Chart. It depicted Starling as having a 2,600' unpaved runway. Arnold Mayor Mark Powell recalled, “I remember in the late 1950s watching biplanes taking off & landing. 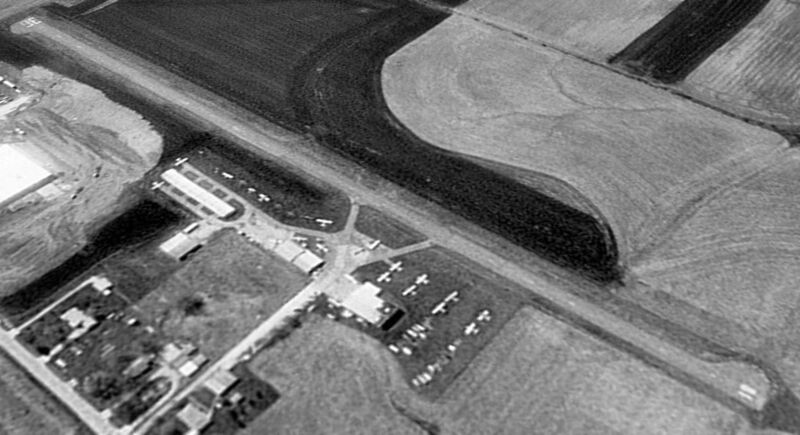 The last depiction which has been located of Starling Airport was a 1958 aerial photo. It depicted Starling Airport as having a grass northwest/southeast runway. near which were 6 aircraft, including 1 twin-engine aircraft. as it was no longer depicted on the January 1960 Kansas City Sectional Chart. A 1968 aerial photo showed the Starling Airport site covered by single-family housing. Another grassroots aviation victim of America's insatiable appetite for suburban housing. A 2016 aerial view showed no trace remaining of Starling Airport. with names like Electra Drive, Piper Drive, Constellation Drive, Convair Drive, Boeing Drive, Douglas Drive, and Cessna Drive. Thanks to Jim Hahn for pointing out this former airfield. 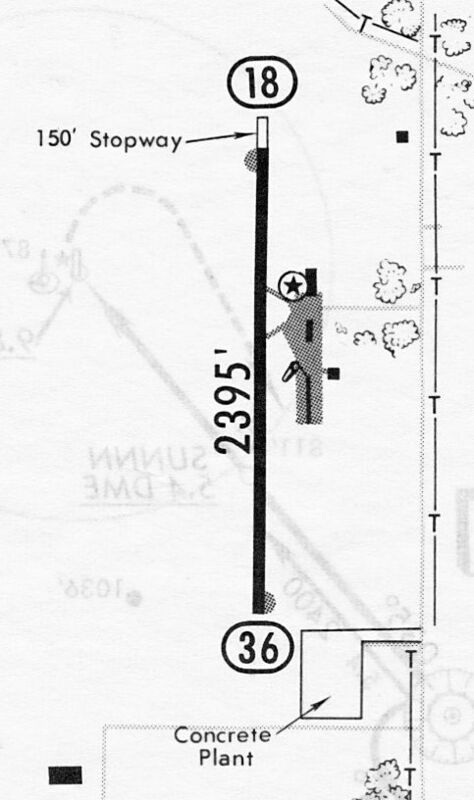 Wentzville Airport, as depicted on the January 1973 St. Louis Sectional Chart. as it was not depicted on the 1969 USGS topo map nor the September 1969 St Louis Sectional Chart (courtesy of Ron Plante). which described Wentzville in the "low use airports" section as having a single 2,400' unpaved Runway 17/35. in the early 1970s for the Sachs family under the name Aire Wentzville. 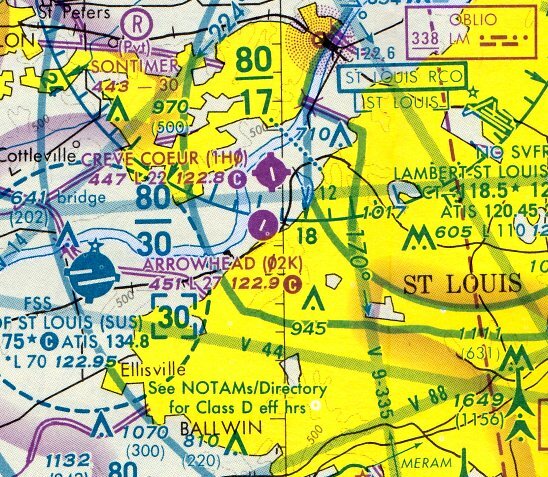 The earliest depiction which has been located of the Wentzville Airport was on the January 1973 St. Louis Sectional Chart. It depicted Wentzville as having an unpaved 2,400' runway. 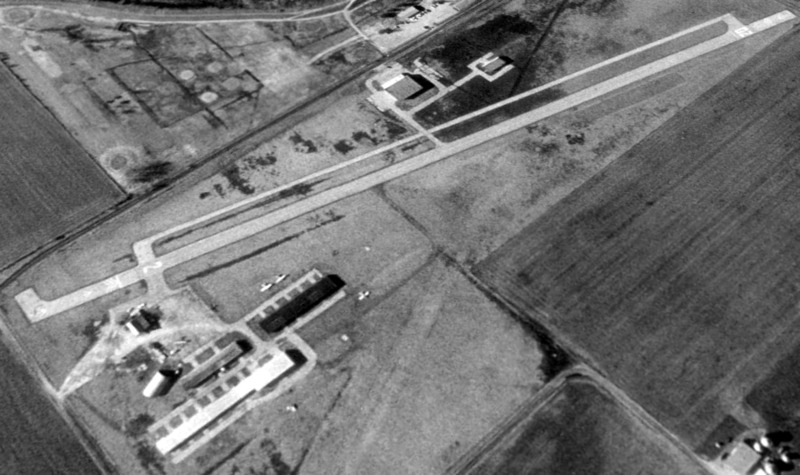 The earliest photo which has been located of Wentzville Airport was on a 5/1/74 USGS aerial photo. with a few small buildings on the east side of the field. Tim Haake recalled of Wentzville Airport, “It was my FBO after I purchased my first airplane in the late 1970s. 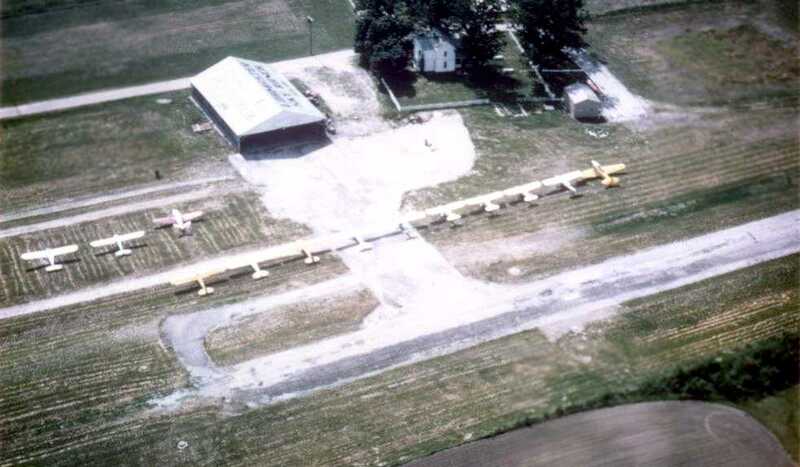 Wentzville Airport was owned by a large farming & flying family of several generations. but was deemed 'land-locked' for the purposes of providing larger & extra runways. I knew the owners/family & the mechanic well. They had fuel, hard surface, grass strip for glider instruction, and lighting. described the field as having a single 2,400' asphalt Runway 18/36. The operators were listed as Wentzville Flying Service and J & C Aircraft Repair. According to Andy Kendig, Wentzville Airport had for him "a personal attachment. An early (and popular), short, round-robin solo was Spirit of St. Louis - Wentzville - Washington – return." as having a single 2,395' paved Runway 18/36, with a ramp & 4 small buildings on the east side. 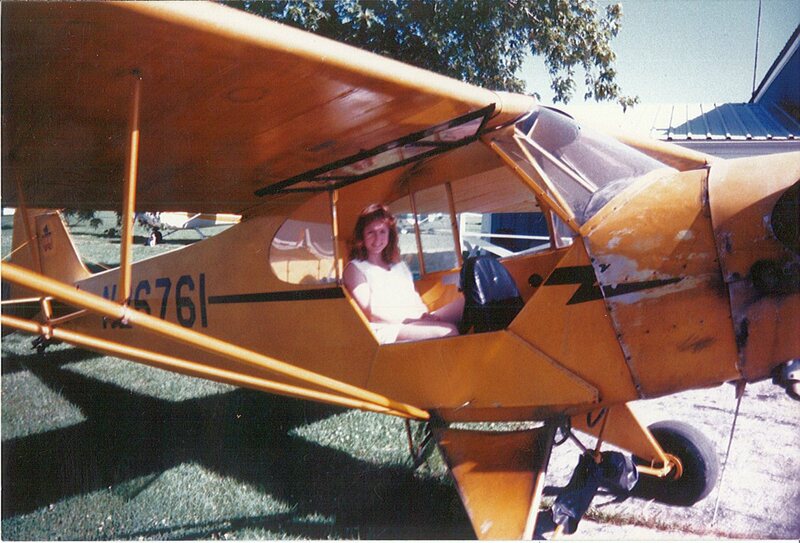 A summer 1986 photo of Julia Manglitz in the Piper Cub in which she had started taking flying lessons that summer at Wentzville Airport, with the main hangar & office in the background. 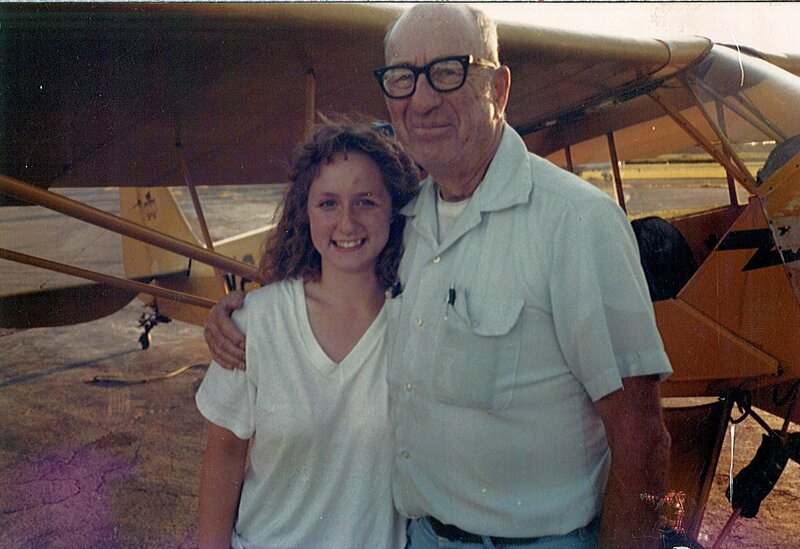 Julia Manglitz recalled, “Wentzville Airport... Dale Hand taught me to fly in Bob Eaton's Piper Cub in the summer of 1986 - I was 17. A summer 1986 photo at Wentzville Airport of Julia Manglitz & Dale Hand. Julia observed, the photo was taken “right after my first solo flight. He was a great teacher. I never felt more comfortable in an aircraft than with him. My grandfathers all died before I could remember them. Dale was like a grandfather to me. My family moved from Lake St. Louis, MO to Overland Park, KS at the end of the summer of 1986 and I never did finish my lessons. I never found a teacher I trusted as much – or one that would let me earn my lessons. Every time I went back to visit Dale gave me a free lesson – for my birthday or Christmas or Easter or any other excuse he could find. And Bob’s present was the plane rental. I had a job and my parents decided to chip in when they saw I would spend everything I made, but it was only enough for a couple lessons a week. Bob & Dale would have me wash planes or do any other odd job they could think of to help me earn instruction or plane rental time. Bob had the Super Cub & we used that for banner tows & for glider tows. I helped set up for both the banner & glider tows to earn lessons. Dale had an Aeronca Champ that I got to fly once – it was freshly back from being doped. And Bob had a really amazing WWII vintage surplus glider he had restored. I remember helping put the wings back on it, but I never got a ride in it. A summer 1986 photo (courtesy of Julia Manglitz) of Wentzville Airport's ramp. “of two of Bob Eaton’s Schweizer gliders – I think these were 233s, they were kept on the west side of the runway across from the main hangar, he used these for teaching. Joe St.Clair recalled of Wentzville Airport, “I learned to fly there in 1988 where I obtained my private pilot’s license. It also was home to Midwest Soaring owned by Bob Eaton. I towed for him in the early 1990s. 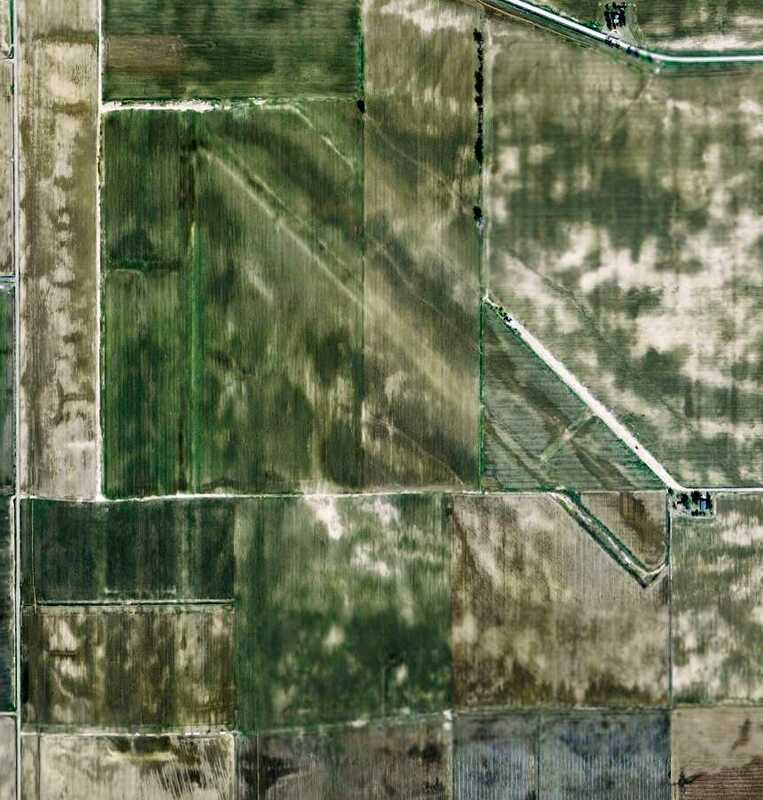 The last photo which has been located of Wentzville Airport was a 1995 USGS aerial view looking southwest. The airport was well-used, as a total of at least 13 planes were visible on the Wentzville Airport property. A row of T-hangars & several other airport buildings sat to the east of the runway. because GM was looking for a site to build a new auto plant. Money prevailed. When the county started pressure J&C saw the light & moved their repair station to WVA. Joe St.Clair recalled, “It was a quaint little field that meet the ultimate demise of greed. It was privately owned & publicly used. The family that owned it was the Sach’s family (Bert, Suzanne, Dorothy, Maury and Mike). It was for sale for roughly 10 years & finally sold in 1997. I last flew in there after it had closed in the spring of 1998.
and a flyover was planned for his burial at the nearby cemetery. 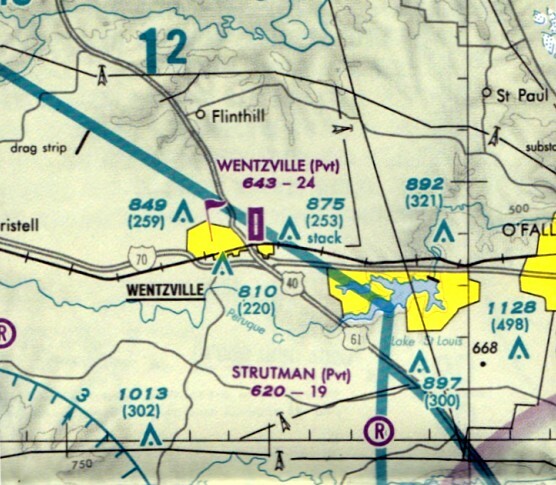 Wentzville Airport was was no longer listed in the 1998 Airport/Facility Directory. even though it had apparently been closed for roughly a year by that point. 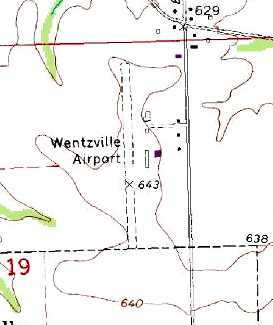 Wentzville was depicted as a private airfield having a paved 2,400' north/south runway. Several roads & buildings had been built over the airport property. A 2016 aerial view looking southwest shows the Wentzville Airport property was completely unrecognizable as having ever been an airport. The site of Wentzville Airport is located west of the intersection of Edinger Road & Sachs Lane. 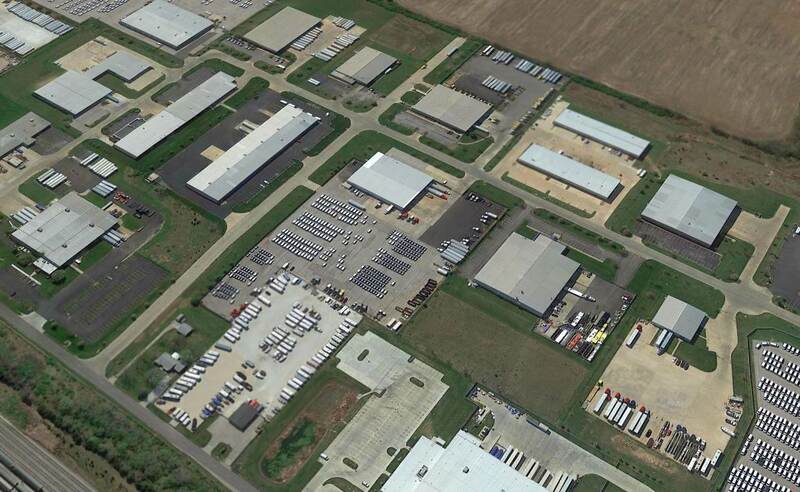 The huge General Motors Assembly Plant is located directly across Edinger Road. Thanks to Andy Kendig for pointing out this former airfield. depicted “Blytheville AAF Auxiliary #5 (Cooter Field)” as having 2 paved runways. a 7/6/43 aerial view from the 1945 AAF Airfield Directory (courtesy of Scott Murdock). 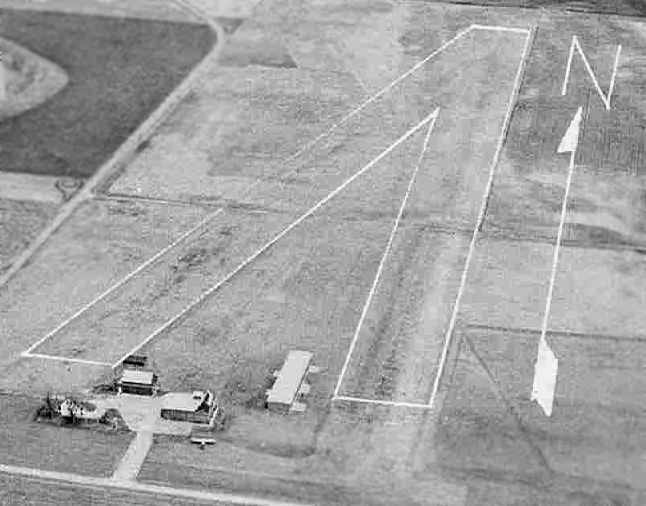 It depicted “Blytheville AAF Auxiliary #5 (Cooter Field)” as having 2 paved runways. and also trained crews of troop carrier crews. 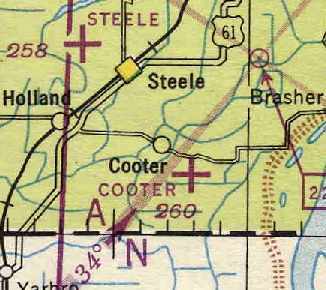 described "Cooter Aux, Army" as having a 4,000' hard-surfaced runway. was on the 1944 Nashville Sectional Chart (courtesy of Chris Kennedy). as a 699 acre irregularly-shaped property having 2 asphalt 4,000' runways, oriented north/south & northwest/southeast. and was described as being owned by the U.S. Government & operated by the Army Air Forces. The date of closure of Cooter Aux AAF is unknown, but Blytheville AAF closed in 1945.
on the November 1946 Nashville Sectional Chart (courtesy of Chris Kennedy). as it was not depicted at all on the 1953 Nashville Sectional Chart (courtesy of Chris Kennedy). 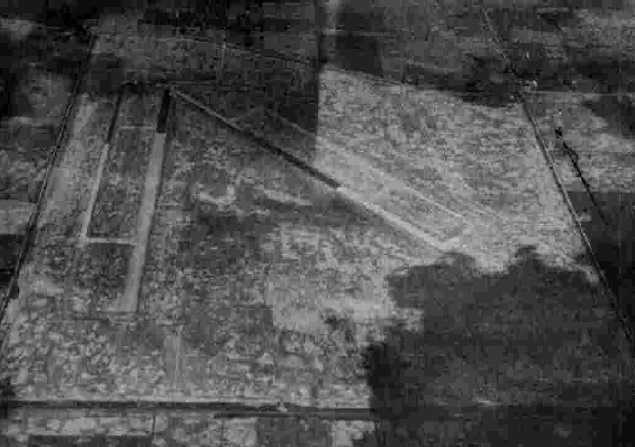 No buildings were depicted on the airfield. as its runways would have been insufficient to operate jet aircraft. and it was not depicted at all on later USGS topo maps. but the outline of 2 former runways (each with a parallel taxiway) are still recognizable. 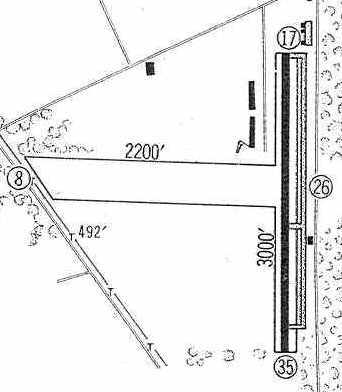 It is not known if there were originally any buildings at the airfield site. A 2006 aerial view showed the remains of the Cooter airfield remained unchanged from the 1996 photo. A circa 2006-2010 aerial view showed a house which sits over the southeastern end of the NW/SE Cooter runway. with the outline of the 2 runways & taxiways still recognizable. two miles southeast of Cooter, MO. An aerial view looking north at the "Lobmaster Sky Ranch", from a circa 1957-61 MO Airport Directory (courtesy of Chris Kennedy). A total of 16 light aircraft were visible parked on the southwest side of the field. Lobmaster Field was not yet depicted on a 1952 Missouri Aeronautical Chart (according to David Brooks). According to Brad Cleghorn, Lobmaster Field started operations in May 1959.
was in a circa 1957-61 MO Airport Directory (courtesy of Chris Kennedy). It described the field as having a single 2,000' hard-surface Runway 17/35. with a single hangar which had "Lobmaster Sky Ranch" painted on the roof. The field was said to offer fuel, hangar storage, tiedowns, and repairs. with a few small buildings on the southwest side of the runway. according to a 1966 St. Louis Post Dispatch article (according to Brad Cleghorn). “[Wayne] Baker came into command of Lobmaster & Baker Aeronautics by a series of fatal air accidents. and said the field offered hangars, tiedowns, fuel, charter, and minor repairs. The operator was listed as Samuel Lobmaster. depicted Lobmaster as having a 2,100' hard-surface runway. 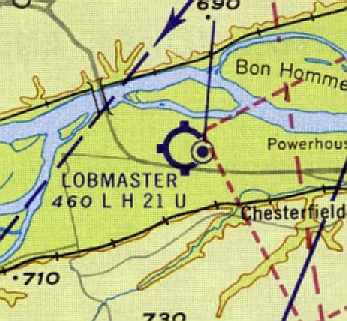 The Maryland Heights VORTAC navigational beacon was depicted immediately adjacent to the east side of Lobmaster. A 1964 aerial view by Brad Cleghorn looking west at Lobmaster Field. after having moved from Weiss Airport. A 1965 photo by Jim Hoisington of Harold Baker's SNJ-4 at Lobmaster Field. and he was attempting a take off when he got a flashing red light from the tower at the new Spirit Airport across the street. It never did fly, it was taken apart & trucked out when he sold it. I remember he had the parachutes hanging in his house. Jim Hoisington recalled, “Lobmaster Field... I worked there in 1965 for Wayne Baker. He was a fine gentleman who enjoyed classical music. He hired me at 50 cents/hour to cut grass, maintain the runway, refuel airplanes & do miscellaneous jobs around the airport. I was 16 & loved that job. and I would hop a ride as copilot for free. I remember working for free for a little while, maybe a week or two. belonging to Harold & Wayne Baker at Lobmaster Field (courtesy of Brad Cleghorn). Brad Cleghorn recalled, “My uncle, Harold Baker, was the airport manager & a flight instructor at Lobmaster Field during the 1960s. David Brooks recalled, "I worked for McDonnell Douglas in St. Louis from 1968-83. The strip was located off of US 40 before you got to the Missouri River bridge. I clearly remember it was there because of the navigational VORTAC located next to it. The runway looked like asphalt to me & not in very good condition. Looked like it was only about 40-50' wide. so every time it flooded, those fields generally went underwater for a while." Buz Heuchan recalled “Lobmaster Field where I learned to fly. I soloed a Colt (N5467Z) there 9/29/66 with Dale Hand as my CFI. The day I soloed, I recall a plane had crashed at the north end of the strip & was still there for my 1st solo. I have many memories of this place. The strip was in terrible shape, as well as the buildings. 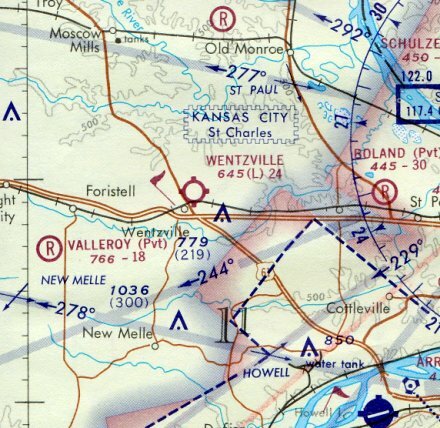 The last aeronautical chart depiction which has been located of Lobmaster Field was on the February 1967 Kansas City Sectional Chart (courtesy of William Willyard). It depicted Lobmaster as having a 2,000' paved runway, and it depicted the new Spirit of St Louis Airport directly across the road. 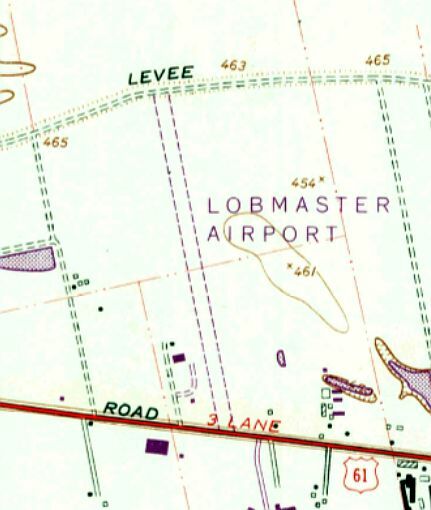 The 1968 USGS topo map depicted Lobmaster Airport as having a single unpaved northwest/southeast runway with a few small buildings on the southwest side. and much of Lobmaster's aircraft traffic had moved over to Spirit of St. Louis Airport. 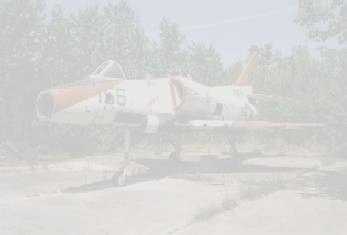 and an old derelict [Harold Baker's SNJ-4] in bad shape off to the side were there. One T-hangar was there & a couple of small out-buildings." Lobmaster Field ceased operations in October 1968 (according to Brad Cleghorn), thus lasting not even a decade. The Maryland Heights VORTAC was still in operation at this point, though. 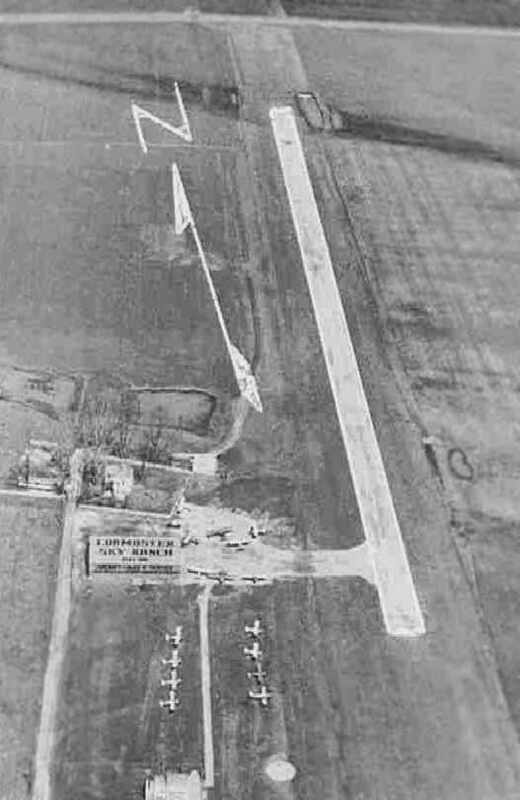 In contrast to the 1971 aeronautical chart, a 1971 aerial photo showed that all traces of Lobmaster's runway had been removed. The VOR building still remained intact, though. to the old US 40 bridge to accommodate growth. The highway eliminated Lobmaster & the VORTAC. My recollection is that the highway widening occurred in the mid-1970s." and to the best of my recollection it was simply converted to a concession building when the sports park was built." 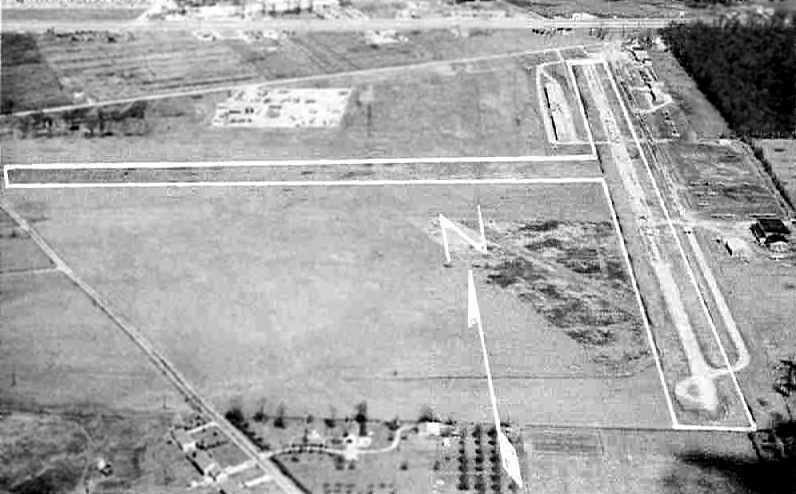 with several baseball diamonds having been built over the former airfield. 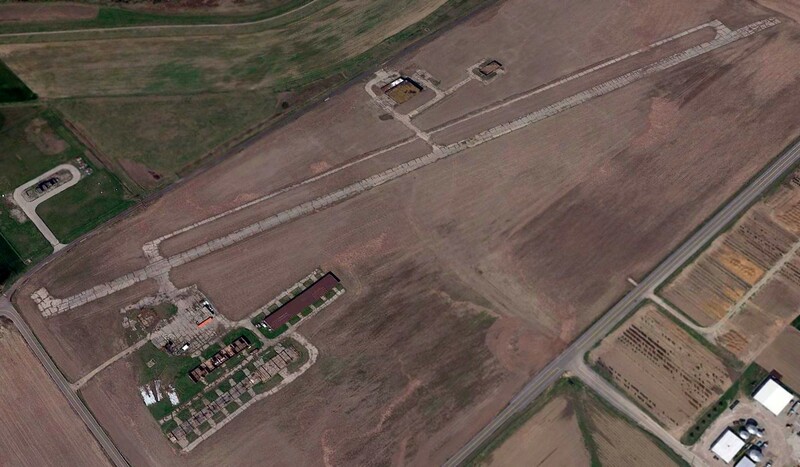 However, it appears as if the VOR building still remains - the dark round building just north of the highway. The site of Lobmaster Field is located north of the intersection of Interstate 64 & Spirit of St. Louis Airport Boulevard. An aerial view looking northwest at Arrowhead Airport, from a circa 1957-61 MO Airport Directory (courtesy of Chris Kennedy). 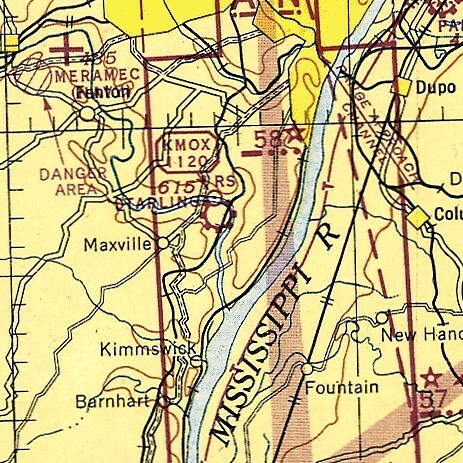 as it was not yet depicted on the 1954 USGS topo map. It described Arrowhead as having two 2,750' turf runways: 3/21 & 1/19. which was said to offer fuel, hangars, tiedowns, and minor repairs. The 1962 AOPA Airport Directory described Arrowhead as having a single 2,000' bituminous Runway 4/22. depicted Arrowhead as having a 2,700' unpaved runway. Leigh Hettick recalled, "I learned to fly in 1966 at Arrowhead Airport. The airport was owned by folks named Heaton who were in the real estate business. They had a fleet of 5 new Alon Aircoupes. Several of us who went to college together in New York & who were working at McDonnell Aircraft took our training there. After we soloed, we expanded their training syllabus several times to include formation flying. They ran a relaxed & friendly little operation." The February 1967 Kansas City Sectional Chart (courtesy of William Willyard) depicted Arrowhead as having a 2,400' paved runway. Kurt Beindorff recalled, “I worked for two summers at Arrowhead in 1976 & 77. They had lots of old warbirds. We had a tornado go through one summer that did minor damage to the T-hangars & to the planes inside. My jobs included scheduling lessons, gassing up planes, cutting grass (Moses did the big cutting) and anything else they wanted me to do. 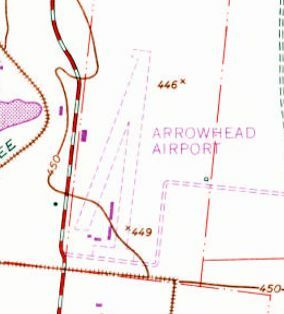 The 1978 USGS topo map depicted Arrowhead Airport as having 2 unpaved runways. depicted Arrowhead as having a single 2,400' paved runway. A 1971 aerial photo depicted Arrowhead as having a single paved runway, with a large number of aircraft visible parked outside. continued to depict Arrowhead as having a 2,400' paved runway. Chris recalled, "I learned to fly in the St Louis area in the mid 1970s. It was a hotbed of warbirds before everyone had a warbird. (try to imagine student pilots based out of major hub airports!). I did most of my touch & goes at Arrowhead. I remember a T-6, 2 T-28s, and a Bearcat at the airport. Also at one time there was a cross grass runway that attracted a lot of taildraggers." A circa 1979-80 photo by Albert Stix “of my father’s SNJ-5 arriving [ at Arrowhead] from Rockford, Illinois. That’s Mark Clark delivering the plane. described the field as having a 2,880' asphalt Runway 2/20 & a 2,700' turf Runway 15/33. St. Louis Helicopter Airways, and Omar Aviation Maint. 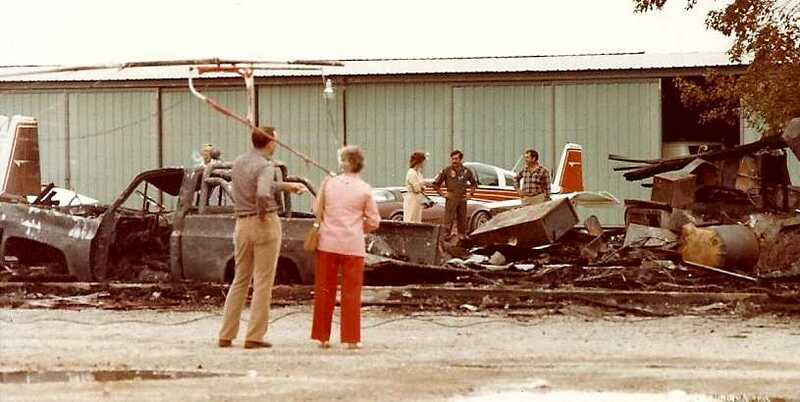 An October 1983 photo by Albert Stix of damage at Arrowhead Airport after a fire, “taken the morning after the fire. 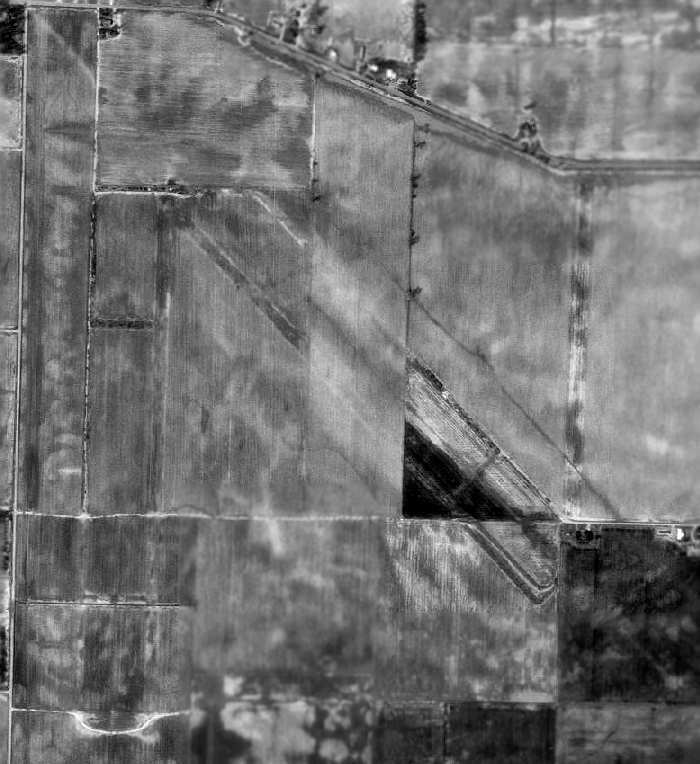 The last photo which has been located showing Arrowhead Airport while open was a 1990 USGS aerial view looking northwest. Three light single-engine aircraft were visible parked near the hangars. 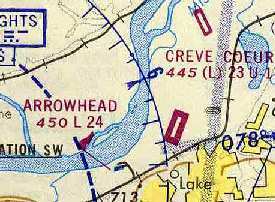 Arrowhead was almost immediately adjacent to Creve Cour Airport. The 2 traffic patterns almost conflicted with each other. Arrowhead probably had the better runway - but oddly Creve Cour survived instead. 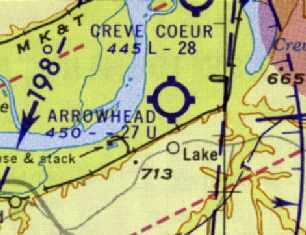 The last aeronautical chart depiction which has been located of Arrowhead Airport was on the 1993 Kansas City Sectional Chart. It depicted Arrowhead as having a 2,700' paved northeast/southwest runway. Paul Swarthout recalled, “The flood of 1993 flooded the airport with more than 10 feet of water. 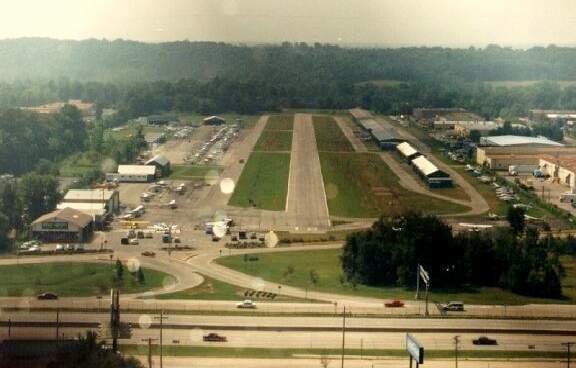 Arrowhead Airport closed shortly after the 1993 flood. Albert Stix recalled, “In the long run, Arrowhead was doomed. Not because of the new bridge, it actually wound up being built alongside Creve Coeur Airport’s property and missed Arrowhead by several miles. 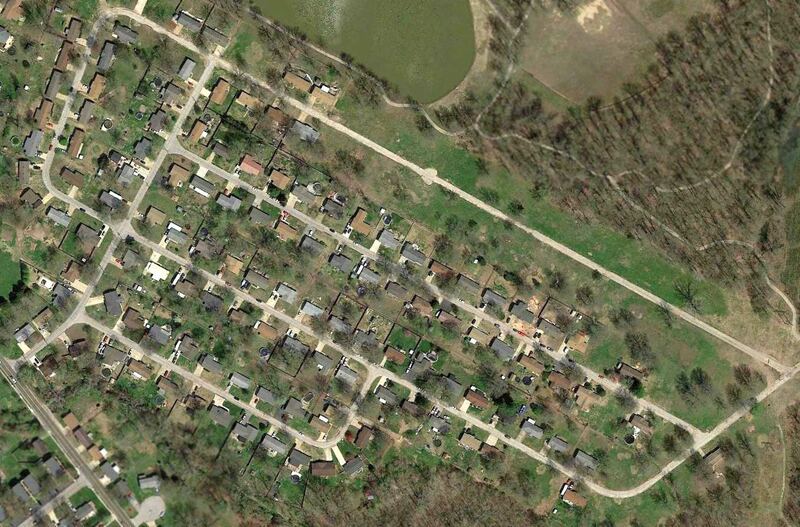 and the residential neighborhoods along the bluff just South of the airport in Chesterfield, Missouri. and the former grass runway was still discernible as well. and he has flatly refused every time. The owner is holding on to the land for speculation purposes. A 2002 photo by Gavin Haslett looking north along the former Arrowhead Airport Runway 2. Gavin Haslett reported there was a sign advertising the property for lease. A 2002 photo by Gavin Haslett of former hangars at Arrowhead Airport. a farmer grows corn on one end of the land, and several baseball diamonds have popped up since the spring of 2005.
even though ball fields have been added on either side of the runway. A 2016 aerial view looking northwest at the remains of Arrowhead Airport. What a shame to see this nice little general aviation airport wasting away. Arrowhead Airport is located northeast of the intersection of River Valley Drive & Hog Hollow Road. Thanks to Andy Kendig for pointing out the closure of this airfield. from the 1947 MO Airport Directory (courtesy of Stephen Mahaley). nor depicted on the September 1946 Wabash River World Aeronautical Chart. was in the 1947 MO Airport Directory (courtesy of Stephen Mahaley). It listed the owner as Harley Weiss. Weiss was described as consisting of a single north/south 1,500' turf strip. 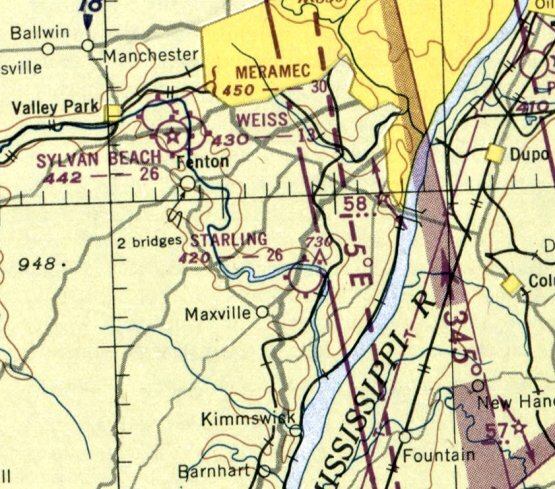 The directory noted that the landing facilities of the adjacent Sylvan Beach Airport were also used. and had 3 turf runways (with the longest being a northeast/southwest 5,400' strip). on the 1948 Kansas City Sectional Chart (courtesy of Chris Kennedy). Weiss was described as having a 1,300' unpaved runway - mighty short! Sharon Irish recalled, “My Father, Glenn Irish, owned his own business at Weiss Airport from June 1948 - November 1949. It was named Kirkwood Aero Repair Service. I was 4 years old at the time & went flying every afternoon with my Dad when he tested his repair for the day. and began teaching around 1952 until the late 1960s when he had to stop due to health reasons. while my Mom sat & watched us kids & my dad gave flying lessons. I also learned to fly there & really miss the old place." 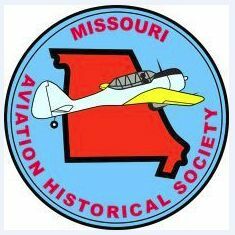 The Greater St. Louis Parachute Club was formed in May of 1957 & was originally located at Weiss Airport. It later moved to Lobmaster Field. An aerial view looking north at Weiss Airport, from a circa 1957-61 MO Airport Directory (courtesy of Chris Kennedy). The field was described as having a 3,000' hard-surface Runway 17/35 & a 2,200' turf Runway 8/26. Hangars lined the northeast & northwest sides of Runway 17/35. and was a member of the Scott AFB Aero Club. The club had a least one Aeronca Champ & 2 Beechcraft T-34s. A while back I began trying to remember the name of the airfield where the planes were located. and [I have] become pretty sure it was Weiss. just to the left (West) & at 45 degrees to the 17/36 paved runway. as well as a 2,200' unpaved Runway 8/26. as well as a few other small buildings on the northeast & southeast sides. and the operator listed as Midwest Aviation. The February 1967 Kansas City Sectional Chart (courtesy of William Willyard) depicted Weiss as having a 3,000' paved runway. 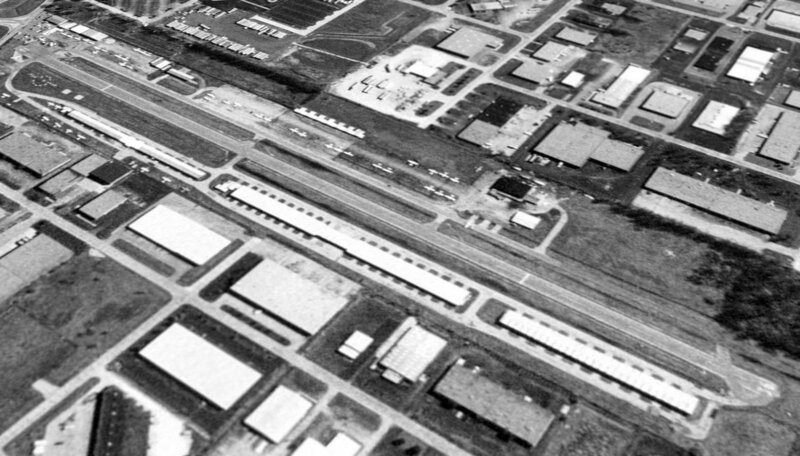 A 1971 aerial view shows that Weiss had a single paved north/south runway. as several new roads crossed over its former location. The airfield was very well-used, with a large number parked on both the east & west sides of the paved runway. 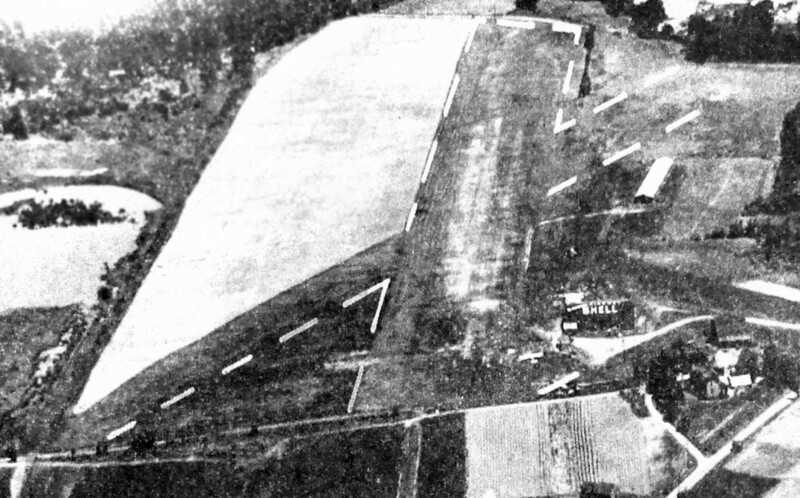 The 1972 Flight Guide (according to Chris Kennedy) described Weiss as having a single 3,040' paved Runway 18/36. Deborah King recalled, “I flew with my new husband out of Weiss Field. We based our AA-1 Yankee at Weiss, starting in 1973. It was a very active (and crowded) field then, with so many planes based there that taxiing was difficult. I recall a real family atmosphere. The field was managed (owned?) by a fellow named Taylor. 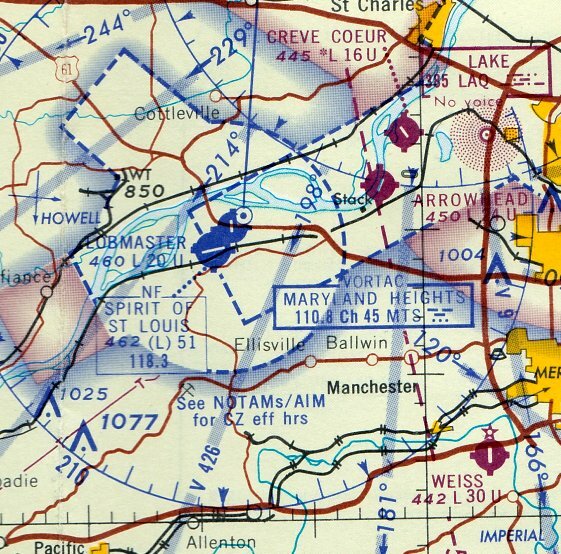 The 1980 St. Louis Sectional Chart (courtesy of Ron Plante) depicted Weiss as having a 3,100' paved north/south runway. 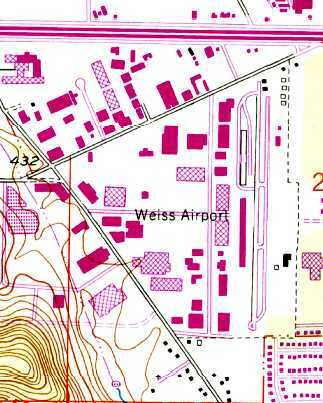 The 1982 USGS topo map still appeared to depict Weiss Airport as having 2 perpendicular runways, although the east/west runway had ceased to exist more than a decade before. 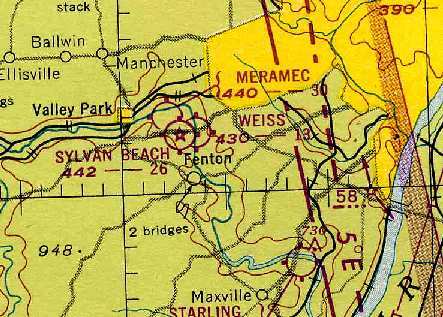 The last aeronautical chart depiction which has been located of Weiss Airport was on the 1984 St. Louis Sectional Chart. 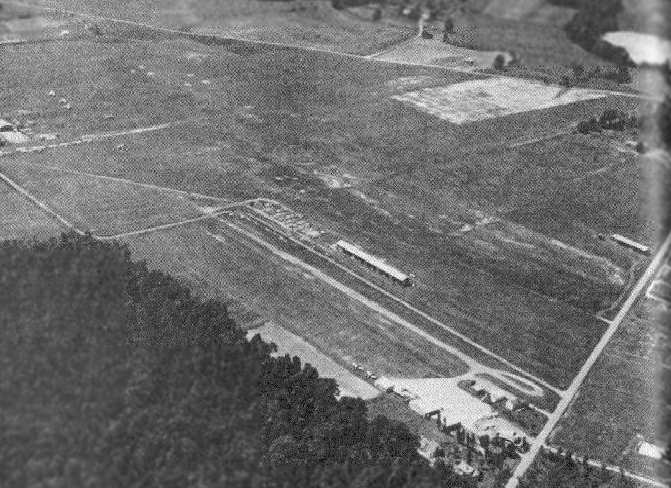 It depicted Weiss as having a 3,100' paved north/south runway. 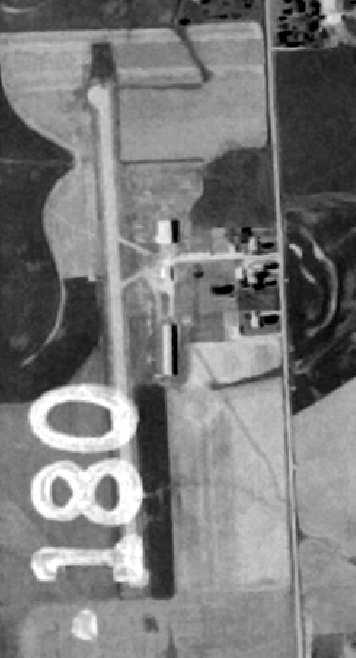 As seen in a 4/8/90 USGS aerial photo looking northeast, Weiss Airport consisted of a single 3,000' paved runway & a large number of hangars. Weiss was a very well-utilized airport, as over 47 aircraft were visible parked outdoors. 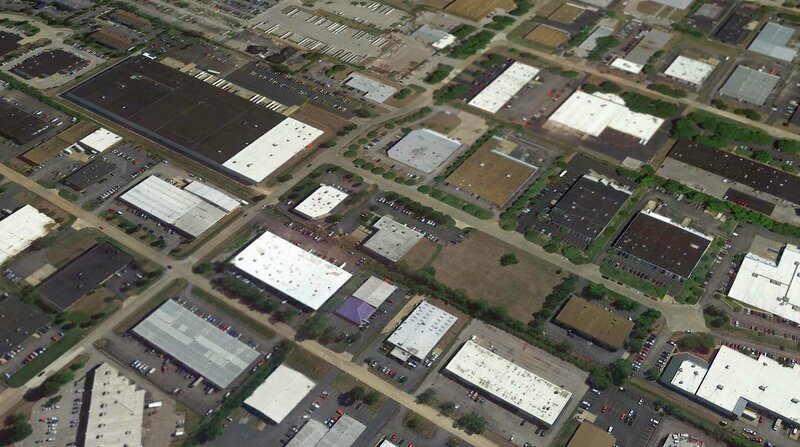 A local pilot recalled, “As you can see from the aerial photo, it was boxed in quite well by urban sprawl. which was an obstruction & resulted in a 500' displaced threshold. but which was not really a factor. 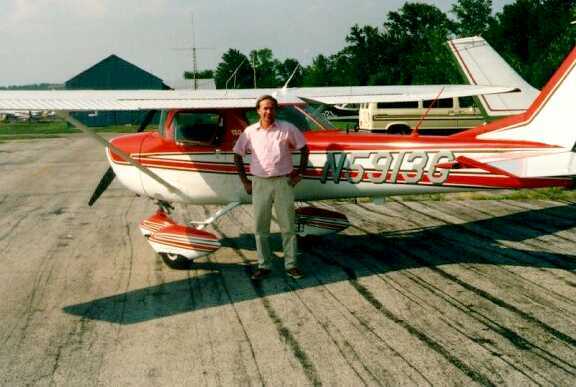 A 1992 photo of Paul Schlipp in front of his Cessna 150 at Weiss Airport. & the FAA established a temporary control tower there. You would think this might have established Weiss as a key contingency to the St. Louis area. looking south while on final approach for Runway 18. Karl Reinhardt recalled, “I believe that I am the last person to do his 1st solo at Weiss. I did my first solo flights at Weiss on May 3, 1994. I did some more on May 4, 1994. The FBO's airplanes were flown to Spirit of Saint Louis May 5, 1994. I remember the strip as 3,010' x 48' asphalt & pretty smooth. The hill at the south end had a house up on the top right in line with the runway. The traffic pattern was right traffic for Runway 36 & left traffic for Runway 18. I believe that this was left over from the days of the other airport that was where the Chrysler plant was on the north side of I-44. The 'standard' traffic pattern had the southwest corner cut off to miss the hill. We did a couple of 45 degree turns instead of the normal 90 degree turn for the southwest corner. but the tree line was still there in 1994.
because we got to just learn to fly without a lot of traffic & we did not have to worry about a tower. In 1994, the community markedly raised the property taxes & the airport was forced to close. The FBO moved to Spirit of St. Louis Airport, but then closed after few years. 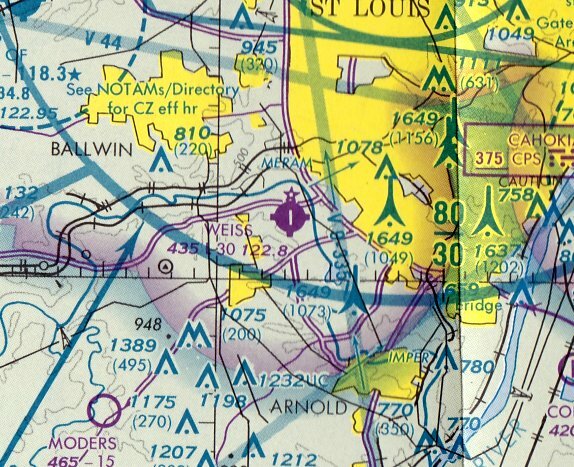 This airport closure is a very sore spot among local St Louis pilots. It was the only airport convenient to the Southwest side of St. Louis. It is about a 30 minute drive from Spirit of St. Louis Airport to the Southwest part of town. with no trace remaining at all of the former airport. A 2017 aerial view looking northeast at the site of Weiss Airport, sadly heavily redeveloped & no longer even recognizable as a former airport. Thanks to Andy Kendig for providing information about Weiss.